Grey Fox Games and King Racoon Games are announcing an international partnership to handle production, distribution and fulfillment of several future projects. King Racoon Games, based out of Ludwigsburg, Germany, recently published the game Tsukuyumi: Full Moon Down, which was initially funded through a successful Kickstarter campaign. Tsukuyumi is a strategy game where players control different asymmetric factions battling for control of the Earth's surface. The game is set in a futuristic version of Earth sent into chaos after the moon collides with it. The partnership between the two companies encompasses Tsukuyumi as well as future, unannounced titles. 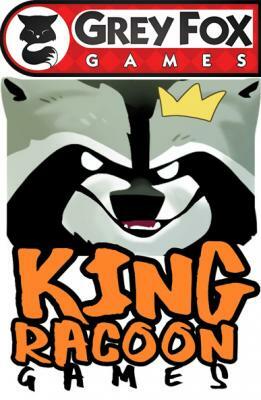 To help manage future projects with King Racoon Games, Grey Fox Games has hired Matt Goldrick as a Manager of Product Development. Additional details on future projects and collaborations will be provided in the coming weeks.